According to Oculus' Nate Mitchell, there are several Touch controller easter eggs to be found. If you picked up one of the early Oculus Quest or Oculus Rift S headsets, you could find a hidden message in your motion controllers – but they weren't meant to be there, you see. 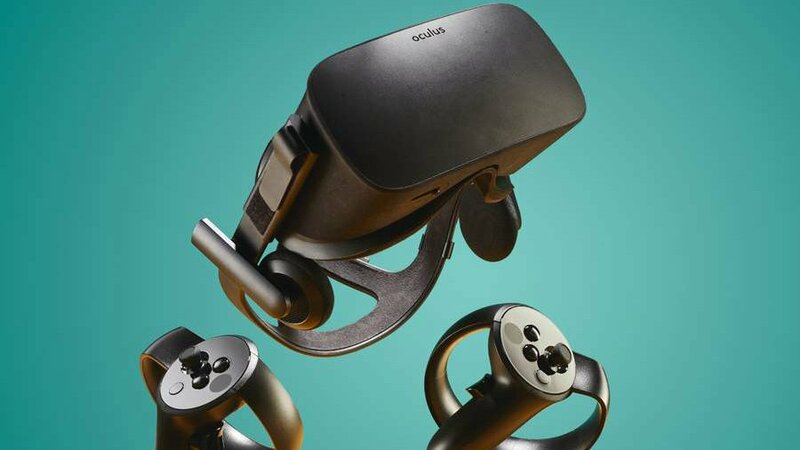 Oculus co-founder Nate Mitchell confirmed via Twitter that some "easter egg" messages that weren't in fact meant for mass production slipped past internal review and made it out to dev kits. The messages include "The Masons Were Here," "This Space For Rent," "Big Brother is Watching," and "Hi iFixit! We See You!" printed on the hardware. These lines were only supposed to appear on prototypes, but they accidentally got onto the internal hardware for "tens of thousands" of Touch controllers. “While I appreciate Easter eggs, these were inappropriate and should have been removed. The integrity and functionality of the hardware were not compromised, and we’ve fixed our process so this won’t happen again," tweeted Mitchell. A spokesperson from Facebook confirmed to The Verge the controllers are indeed those coming with the Quest and Rift S, not the ones that shipped out in 2016. With these new headsets coming out next month, Oculus found them after consumer versions had already been shipped. Some of the messages are obviously a snipe at Facebook since it's accused regularly of spying on its users, and to see the phrase on an Oculus product is pretty funny. But there hasn't been any other sort of official statement or information floating around about these easter eggs other than what Mitchell has tweeted. It's likely anyone who ends up getting one will have a pricey, one of a kind item on their hands. What do you think of the easter eggs? Are they funny or inappropriate? Let us know in the comments below!